Is there something more comforting than a warm latte, your best friends’ company and a delicious brunch on a Sunday morning? In my eyes, nothing beats that combo! You guessed it, I LOVE to brunch. If I could brunch every day of the week, I would! Luckily enough, Montreal is home to so many brunch spots that offer food as delicious as their pinterest worthy decors. Following our previous articles listing three of our favourite spots to have a drink and to go for dinner in Montreal, today I give you our three favourite brunch spots in Montreal. At its conception, the café owners wanted to have a place that evokes the feeling you get when you visit your favorite aunt. You know, the aunt that treats you (and feeds you) like the queen or king that you are every time you visit! Located at 1840 Beaubien Street East, it is the perfect little spot to catch up with your best friends and make up for lost time. From mimosas and platters that can be shared, to your classic bacon and eggs with a few surprises, everyone is guaranteed to find something they love. PS: If you live at the complete opposite end of the island, there is also Janine Cafe in Verdun, Régine’s little sister. I’ve yet to try it, but I’m sure it won’t disappoint. You’re more the “foodie/experimental” brunch kind of person? Butterblume is the perfect place for you. Eat well, enjoy a delicious iced latte, and treat yourself to a bouquet of fresh flowers, all in one spot. Restaurant, cafe, and shop all rolled into one, the Butterblume space is bright and decorated with trendy touches. They offer their breakfast and lunch menu every day of the week, while the brunch menu is only from Friday to Sunday. Located in the Mile-End district on Saint-Laurent Boulevard, it is the perfect meeting point, especially if your family and friends are scattered all over the island. 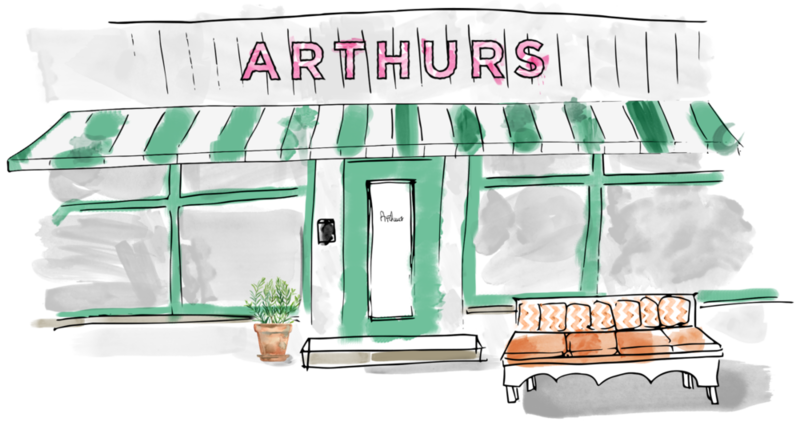 Arthurs Nosh Bar is the place to go for reinvented classic Jewish cuisine. The main intention of the owners of this small neighborhood restaurant was to “create a warm neighborhood address where you could eat a good, honest meal every day of the week.” With its finger-licking good dishes and its very “Instagram-friendly” decor, it’s the perfect place to feast (and share with your followers)! Located in the Saint-Henri district, this is the perfect spot if you want to deviate from the classic bacon and eggs! Where is YOUR go-to brunch spot?